Psychiatric Nurses provide professional nursing care to individuals with developmental delays, developmental disabilities, intellectual disabilities or social, emotional and/or behavioral disorders, in an institution or out-patient setting in accordance with the authorized scope of practice specified in the Nurse Practice Act. Incumbents possess a degree of knowledge and proficiency sufficient to perform work independently with little or no additional training. Lake's Crossing Center (LCC), a maximum security forensic facility, is recruiting for several full-time Psychiatric Nurse II positions. The mission of the agency is to provide forensic mental health services to mentally disordered offenders referred by the court system for evaluation of their competency to stand trial and/or treated to restore competency. The Nursing Department at LCC provides professional psychiatric nursing care to clients while at the facility. Duties include, but are not limited to, dispensing medication, responding to medical emergencies, assessing medical needs, providing on going care, supervising and attending treatment groups, supervising clients in isolation, at times assuming responsibility of Nurse in charge, and performing other duties as assigned. Incumbents will need to be available to work days, evenings, and nights, weekends, and holidays. Incumbents will be working an innovative schedule with overtime after 40 hours per week. Current license to practice as a Registered Nurse in Nevada or an Interim Permit issued by the Nevada State Board of Nursing is required. **Please ensure your application reflects your current nursing license information. This should be included in the "license" section of your application. 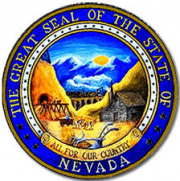 ** The State of Nevada provides an excellent benefits package that includes health, dental and vision insurance, participation in the Public Employees Retirement System (PERS), yearly accrual of 15 days of annual leave and 15 days of sick leave, as well as paid holidays. Nevada does not have a state income tax and state employees do not contribute to social security.